The Cricketers Arms, Oxford, OX4 1EA. The Cricketers Arms pub review, map and rating. 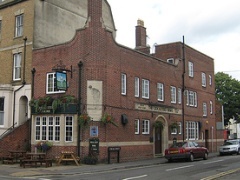 Looking for a Hotel near The Cricketers Arms? Love this place, always good for a quiet pint in the week and a bit more up tempo at the weekend!